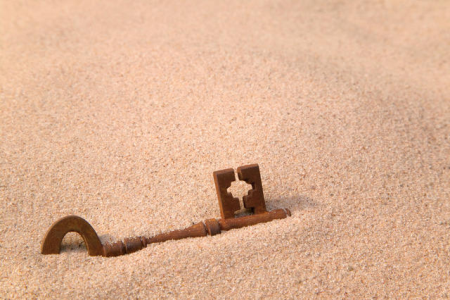 If an ordinary person were to begin studying a Kabbalah book in the right way, meaning after having studied the introductions and gone through some preparations, after being given a certain “key,” he or she would see how to communicate with the forces that act on our entire world and would know what to do with them. In a Kabbalistic prayer book it says, for example, “Extend light from Partzuf Leah, pass it through Partzuf Zeir Anpin to its three Sefirot of NHY, then come down to Rachel, then couple them one with the other.” This is the sort of material you will find in a Kabbalistic prayer book, which is in essence a manual with exact instructions about how to change things in the control room of reality and what to change above to induce the desired change below. But without sufficient preparation, it makes no sense and would not lead the reader to any further understanding. In all previous generations, the Creator raised a few souls to do their work for the collective, but in our generation, everyone must do this work according to his or her own ripeness. Everyone must open the books of Kabbalah and begin to study the instructions to learn how to change reality. We have to reach the same level and quality of performance within our- selves as is described in the books to make the necessary changes in the upper worlds. All of humankind will eventually have to enter that control room and everyone will come to a place reserved for him or her alone. The prayer cited earlier describes the way desires and thoughts about reality are meant to be used. The only force that can influence reality is the power of thought and humankind’s willpower. Kabbalists have prepared these prayer books as manuals that show us how to work with our desires. We only need to know how to read them and learn what to do, and we are required to do that right now. The Creator wants us to manage reality by ourselves, seemingly without Him. By studying the books we become able to perform the things that are written there. We attain His degree and become His partners in every way, obtaining things that are hard for us to describe: wholeness, spirituality, pleasure, tranquility, the feeling of endlessness—eternity above and beyond life and death. There are no words to describe those feelings. Only those who experience that can see the difference between this reality and our world. But I am talking only about what we must do. I am not talking right now about what we will attain; things that go beyond this world—unimaginable pleasures, splendid attainments that give you anything you might wish for. There are two ways to teach a person to do his or her work. The first is short, fast, and painless: it is called “the path of Kabbalah.” The second, however, is a way of continuous torment and pain called “the path of pain.” Right now, we are advancing through pain, and to prevent a major catastrophe from inflicting horrendous pains on all of us, we must turn to these books and work on how to study them to begin changing the world. The upper power works on us slowly, over years, but every now and again, when some time has passed and we have not made sufficient progress, that power intensifies and begins to move in a crooked way instead of directly. We can clearly see this process in our past: think about how much humanity has gone through in the past two thousand years compared to what it has gone through in the last one hundred years. This pace will only quicken: in one year we will experience the equivalent of several years in the past. Each year the pace will increase and become more intense, making it ever more crucial to change the world for the better. We must hurry and fulfill our mission and not wait for the terrible blows that will eventually make us do it anyhow. Reality already exists. It is up to us to make it materialize for better or for worse. Kabbalists cannot change the situation by themselves. They need a group of people with whom to study and help them try to change things. But today, even that is not enough; we now need the entire Jewish people, or at least the majority of them, to understand their mission and begin to advance in spirituality and study the structure of the upper worlds. 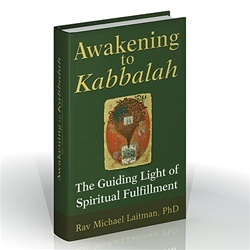 “Why Kabbalah Is Essential for the World’s Development” is based on the book, Awakening to Kabbalah: The Guiding Light of Spiritual Fulfillment by Dr. Michael Laitman.